When it comes to quality and affordable items, B&M is a name that you can trust. They are offering various items that may capture your interests including trampolines, slow cookers, mugs, toys, frying pans, duvets, and more. If you want to save some money on your purchases, you should use the latest B&M UK voucher codes. Here at Latest Deals, we will provide you with the best cheap B&M offers, bargains and sale. The best thing about purchase items from them is that you can save as much as 90% on selected items. 20% off All Lego at B&M Stores! 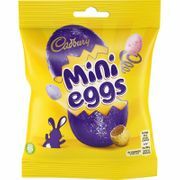 **BARGAIN** Cheapest Mini Eggs at B&M!! B&M Script Mugs - HALF PRICE! Get the latest and the best discounts and voucher codes on B&M here at Latest Deals! B&M European Retail Value S.A, or commonly called B&M Bargains, with the larger B&M Homestore, was established in the year 1978. Today, it is considered as one of the leading retailers in the United Kingdom which is a go-to place for any kind of needs. Founded by Malcolm Billington as Billington & Mayman, the first store was found in Cleveleys, Lancanshire. From there, it has gone a really long way. From garden, home & furniture, electrical, toys & games, sports & leisure, food & drink, you name it - B&M has it and more This retailer believes that every shopper wants or needs a bargain, and it is here to address that. The store’s philosophy is to keep the approach simple. With its almost a billion buying power, B&M is able to deliver sensational prices regardless of what the product is. You can always expect to get the best products from B&M. It is packed with top-selling brands which are disposed at great prices. If you are looking for an exciting and fun shopping experience, this retailer is definitely the one for you. For sure, you will always come back to this store because of the fantastic value it awaits you. How Can I Save When Shopping at B&M Online? Shoppers are given the freedom to get products from B&M via online or in-store. With almost 540 stores across the UK, B&M is the easiest cheap homeware stores UK to access. Visit their website and search for a store near you. 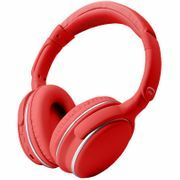 If you still have other queries, you may head directly to its website at http://www.bandmretail.com. You will not have a hard time saving from this retailer either. Aside from their regular offerings of everyday low prices, they also clearance sales and special promos where you can save as much as 60% off. You can also get additional discounts and free delivery on top of your purchases by using the latest B&M voucher codes available here at Latest Deals. Garden - B&M has everything you may ask for to have a beautiful garden. From tools, decking down to garden buildings so that you may create a perfect garden for you and your family. You can start checking on its trimmers and mowers and save from your purchase. If you are also looking for bins, you may get one from this shop too. Home & Furniture - Visit this shop and enjoy affordable deals on various home accessories. Starting off with photo frames, clocks, mirrors, candles and others - it would not be hard to look for anything from this shop. If you are considering of updating your furniture, do not hesitate to know the selections from B&M because you may do so without compromising your budget. Lighting, bedding, storage & shelving, curtains, blinds, poles, kitchen, household & cleaning, laundry, name it! This store probably has it. Electrical - Investing on electrical appliances is easy with this retailer. Starting with garden electricals, floorcare, toasters, kettles, coffee machines, microwaves, irons, TV, speakers, headphones, mobiles, dash cams, action cams, tablets up to lighting, torches, bulbs, batteries, telephone and other electrical offers - this retailer can assist you on that. Toys & Games - When it comes to affordable toys & games, this retailer will not leave you empty-handed. It has many varieties for trampoline & outdoor toys, construction toys, action figures, animal & playsets, dolls, cars & vehicles, craft & design and anything you can think about for your kids. It also has selections for baby & toddler and many board games as well. Sports & Leisure - Do you love camping, travelling, travel accessories, fitness, picnic, outdoor toys, scooters, kids accessories and others related? All of these are available at B&M. Food & Drink - Visit the Food & Drink department of B&M and utilise a wide array of varieties for food, drinks, confectionary and crisps. Browse through the great brands of the shop. If you are not yet aware, it is not yet too late to know that you can get a jar of Nutella from this shop. This is not the only brand you will see there. There are many more like Cadbury, Nescafe, Kelloggs and others. Even Victoria’s Secret is easy to get from this retailer. Pick from edition ranges. Almost synonymous to Aldi, this brand offers its customers a pretty decent number of features which are limited to a certain time. This may vary from month to month. Check out B&M retail limited. Browse from B&M Clothing. Any person who believes that B&M is only about food or B&M housewares products is wrong. This retailer also sells clothes from top brands which you should check as well. There are also pyjamas which are both for women and men. Find great wears for gym. It is no doubt that there are many people who want to get or be healthy. If fitness is your aim, then this retailer may also assist you on that. As a matter of fact, it goes with the best range of gym wear which you may find useful. Pay with any type of card. Exaggeration aside, you can go to B&M, buy and pay with any kind of card, except for only one which is American Express. The rest is definitely acceptable. Get your item delivered at home. It may not be advertised on their website but actually, when you buy large furniture items or even enormous gardening products, you can go to their in store to ask for a home delivery arrangement. Consider managers specials once in a while. If you know a local B&M store around, you will stumble upon a whole section which is ideal to what is termed as the Manager Specials. This have reduced items for candles, air fresheners and candles.